This is the home of Maxa Design’s directors, Dawn and Sven Maxa. Their home needed a complete makeover to dramatically improve its function for their young family. 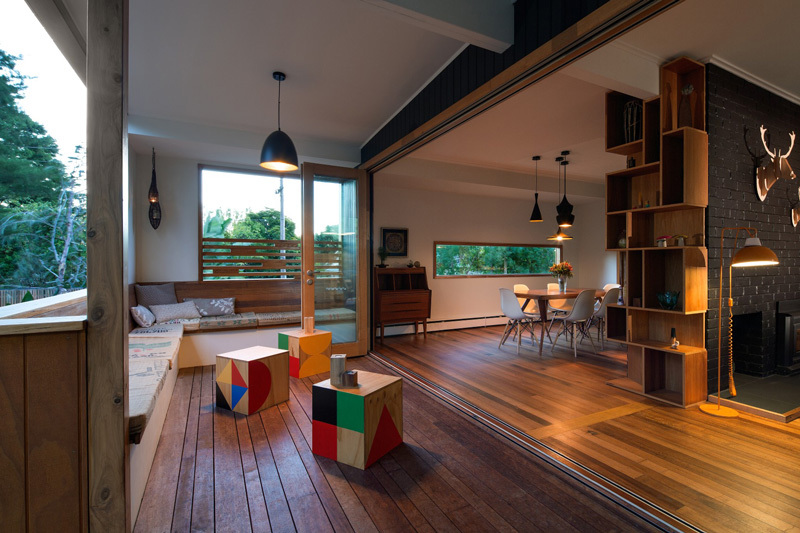 They wanted an improved indoor-outdoor connection, warmer and roomier spaces for entertaining, and open plan living. Aesthetic improvements to the streetscape were critical, along with a clear focus on sustainable home design outcomes (unsurprisingly!). The team set to work on the interiors, reconfiguring the layout, and introducing an impressive new façade for the home. The result is an efficient free flowing open-plan home with large living and entertaining areas opening to the leafy gardens via sheltered outdoor zones. 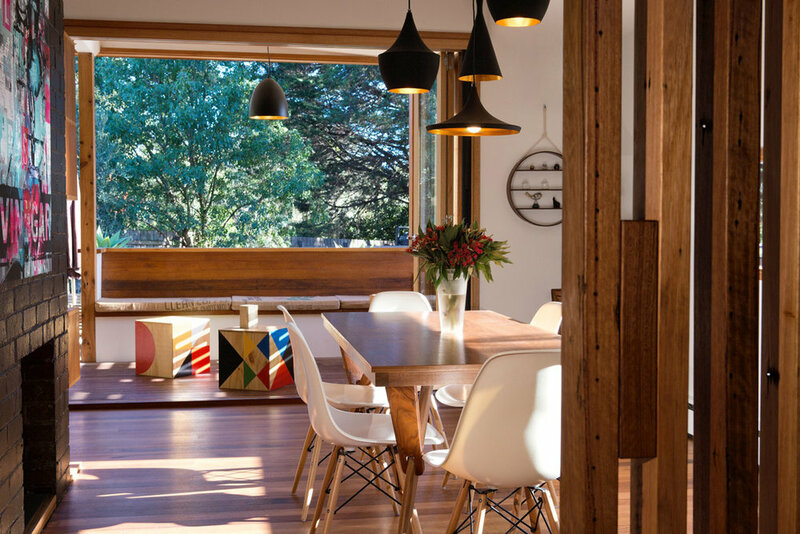 Adhering to strict environmentally sustainable house design principles, the design strategy creates a solid streetscape aesthetic whilst accentuating the original character and warmth of the interior of this 1960s, timber home. Wherever possible materials and structure were retained or re-used. Materials were recycled, natural, non-toxic and sustainably manufactured. PV solar electricity panels, rainwater storage, double glazing and hydronic heating were included. 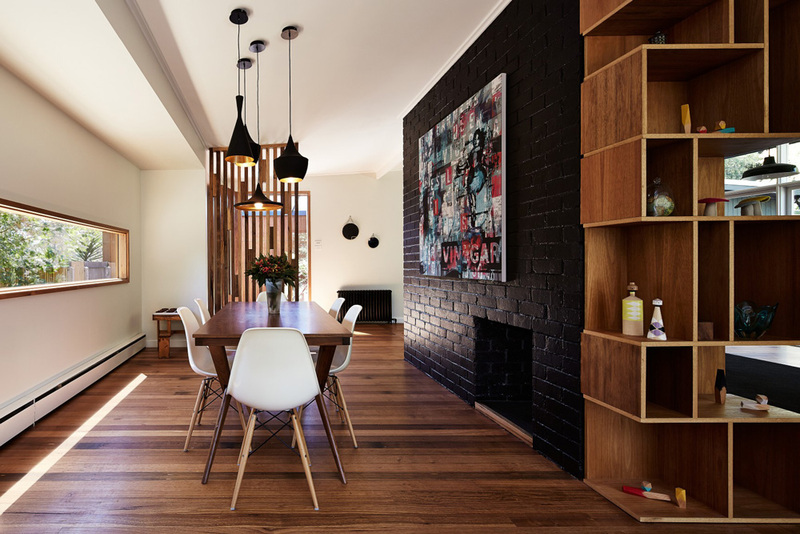 The material palette includes warm colours and naturally finished textures of structural elements such as recycled timber and second hand brick. These are arranged for strong contrasts with natural fabrics and cheerful colours. Winner, Best Environmentally Sustainable Design Award, 2013, Building Designers Association of Victoria. 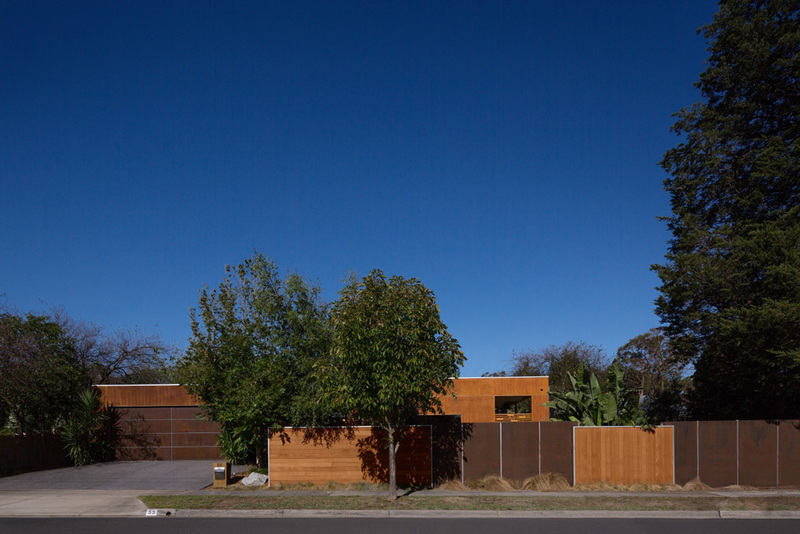 Winner, Residential Alterations & Additions Award, 2013, Building Designers Association of Victoria.